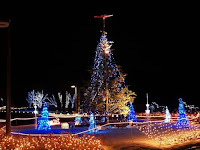 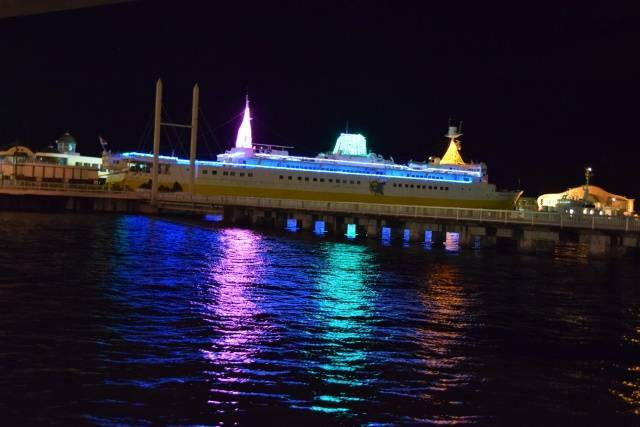 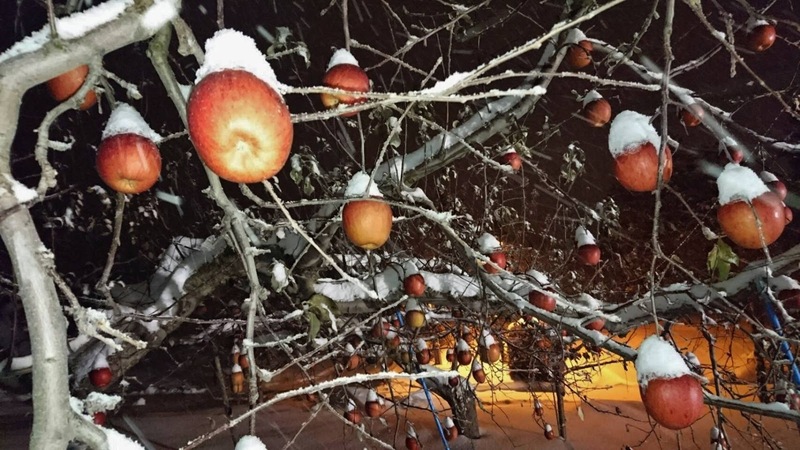 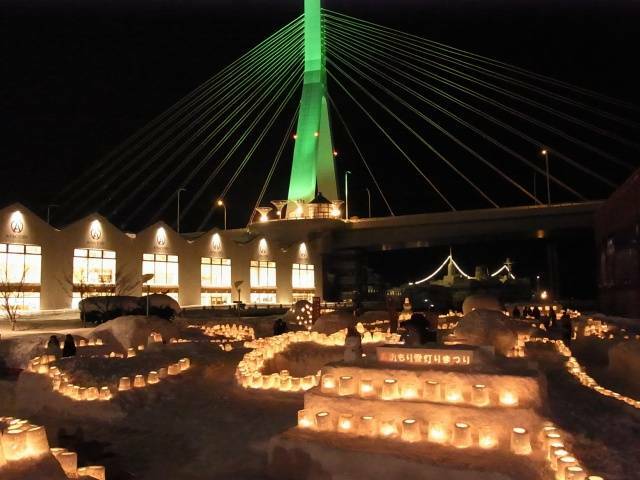 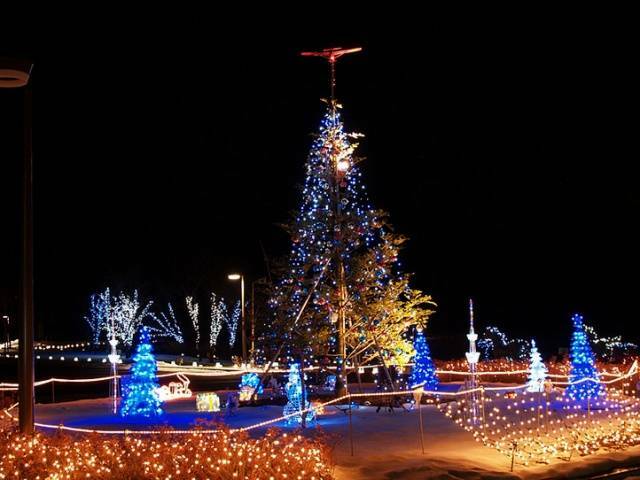 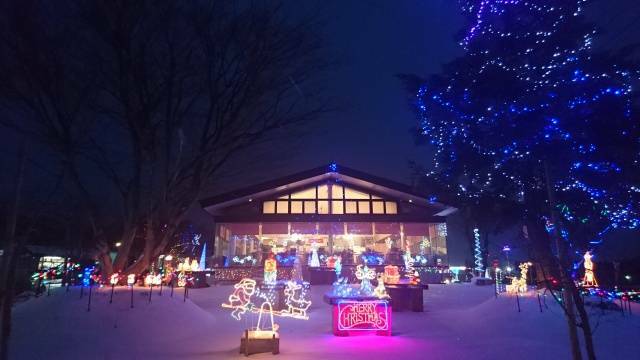 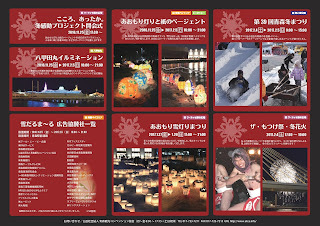 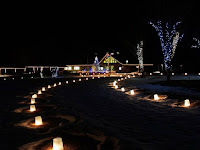 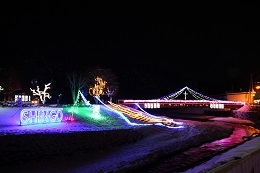 Various winter events and illuminations invite you to brave the snow and enjoy Aomori City! 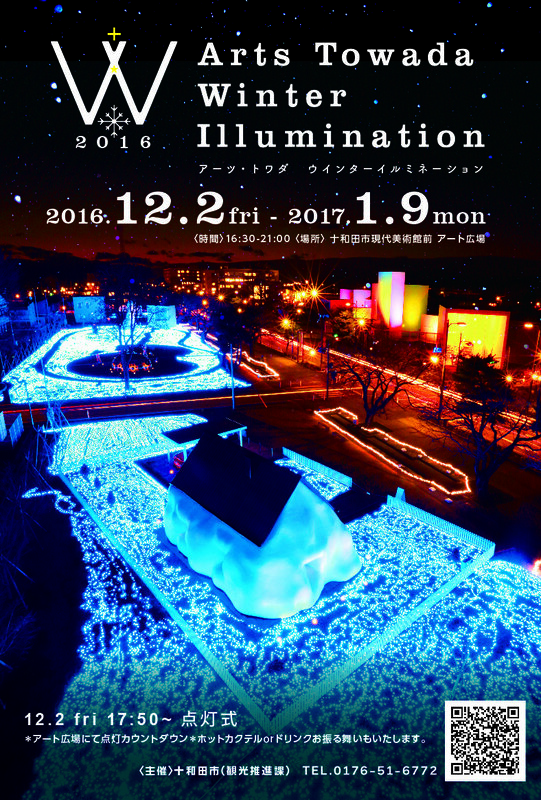 Nebuta-style illuminated Japanese paper "snowmen"
Enjoy 500yen special menu items at various establishments around downtown Aomori. 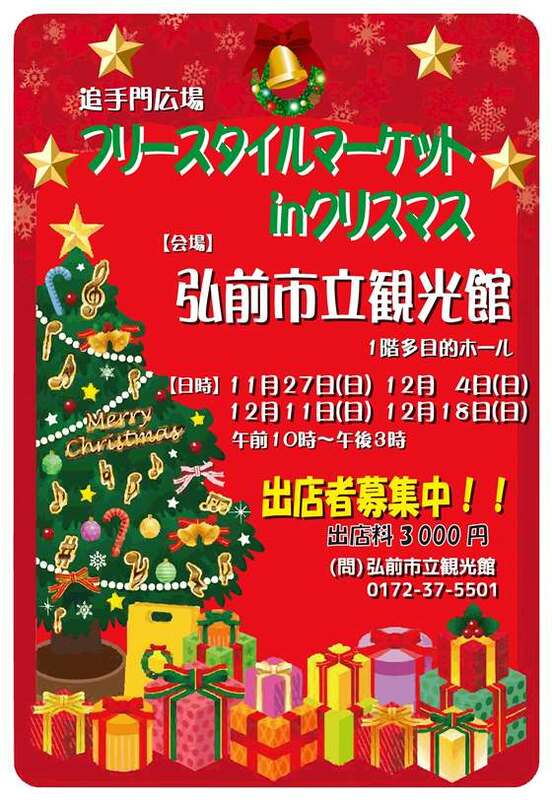 ★Tsugaru folk songs, dance, and other traditional performing arts all in one funny and heartwarming production! 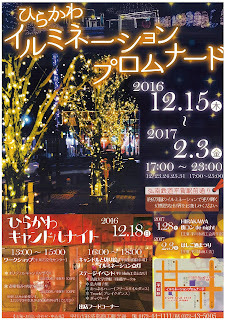 ★ Dec. 3 only, choral and hand bell performances, and unveiling of Yoshitomo Nara's new work "Hakkakudo." 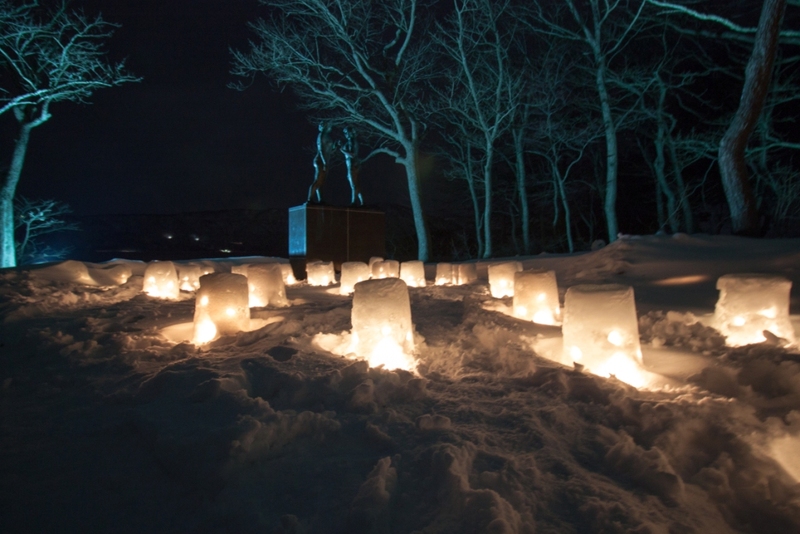 Area around "Hakkakudo" will be illuminated with LED lights throughout the event period. 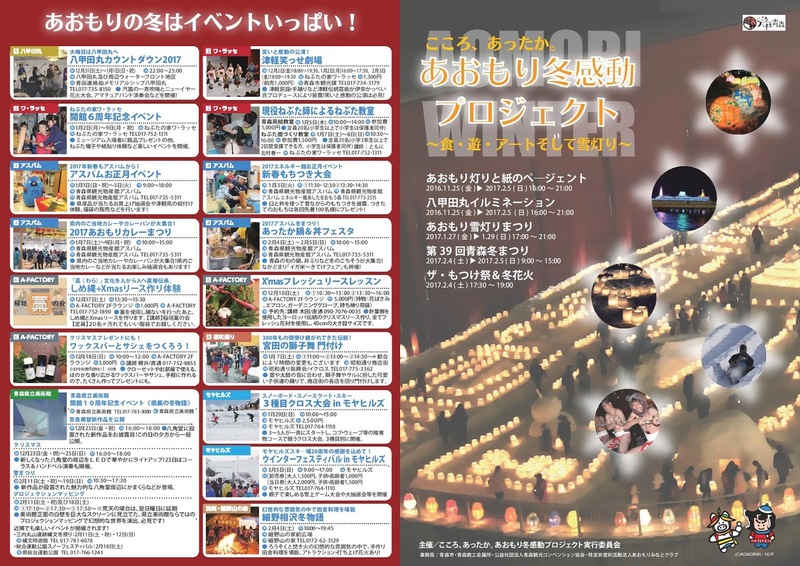 ★New Year fireworks, amateur band performances, and more! 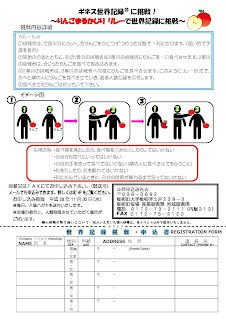 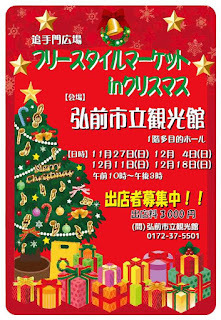 ★Present with admission to museum and various events. 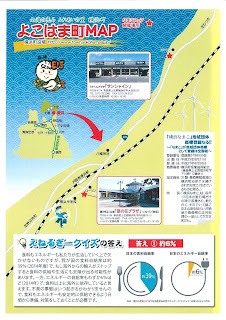 Aomori Prefecture Tourist Center "Aspam"
★Try different curries from around Aomori Prefecture. 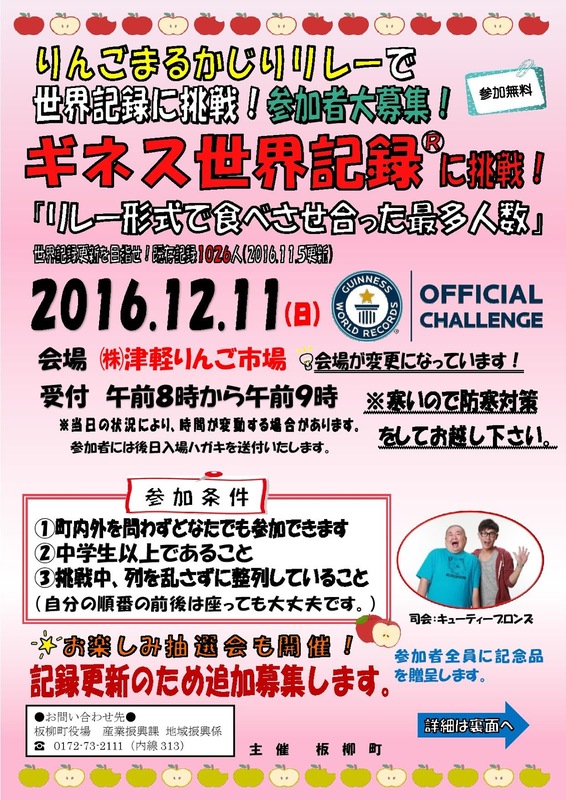 Prize draws and more! 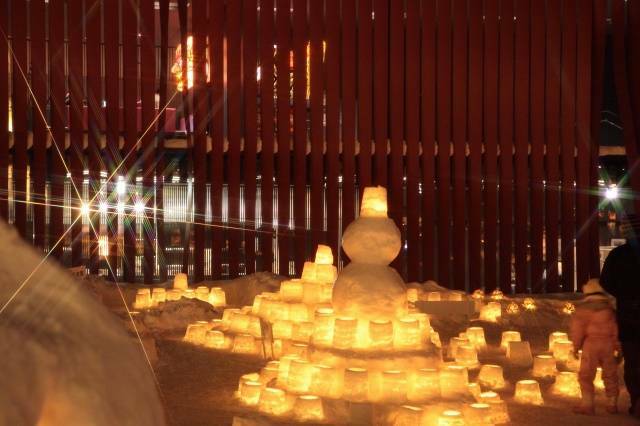 ★Snow lamps illuminated with candles. 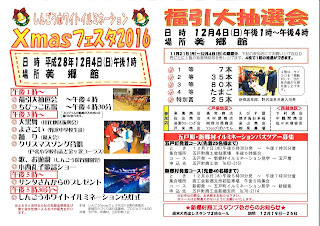 ★Motsuke* guys in fundoshi (loin clothes) carrying a Nebuta-style Mikoshi (portable shrine), competing in a tug-of-war, etc. 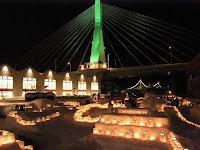 Fireworks display as the grand finale. 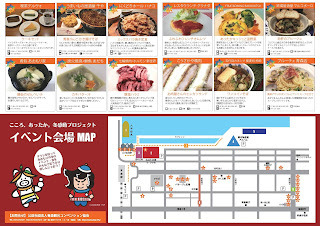 ★Warm up with various nabe stews, and rice bowls. 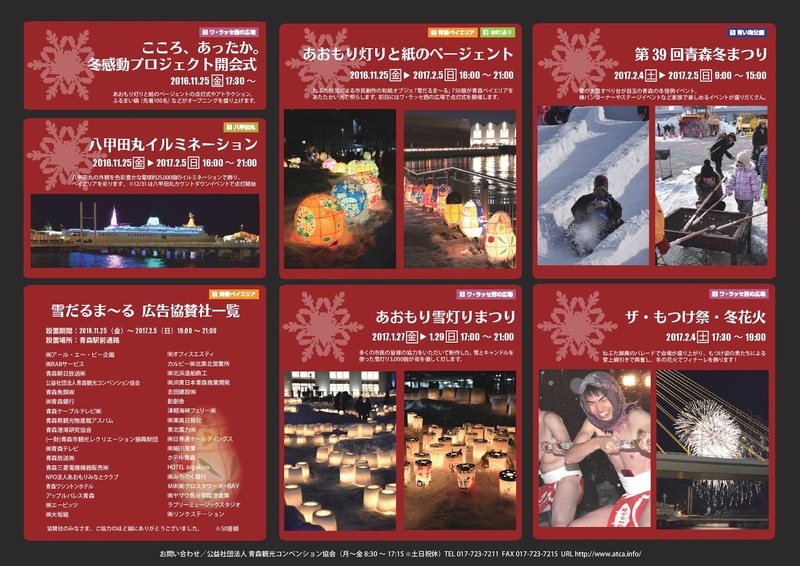 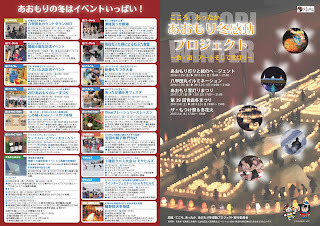 ★Giant snow slide, fire-baked bread on sticks, stage shows, etc. 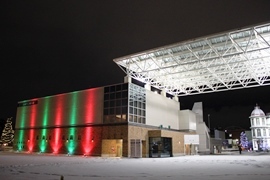 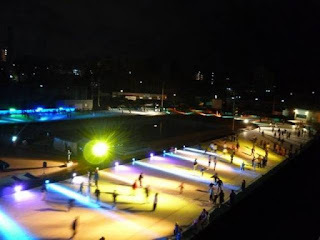 Enjoy night skating on a rink lit up with seven different coloured lights! 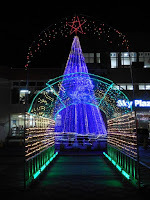 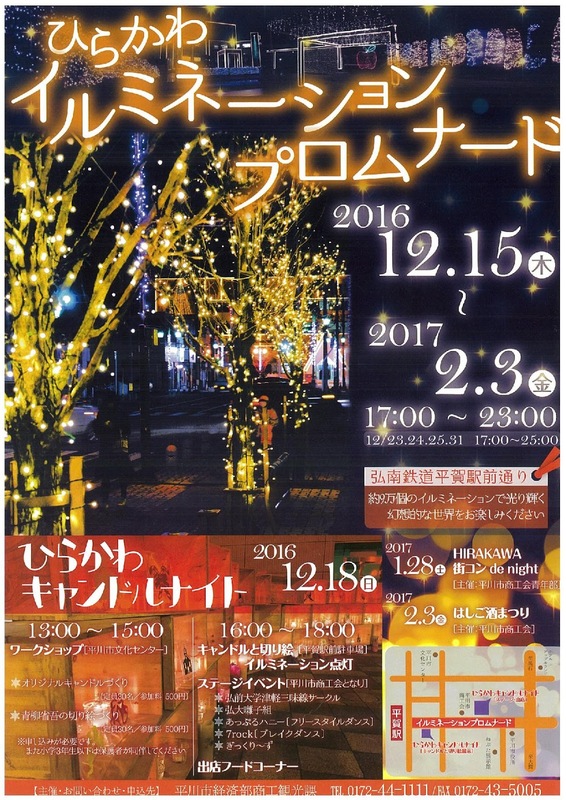 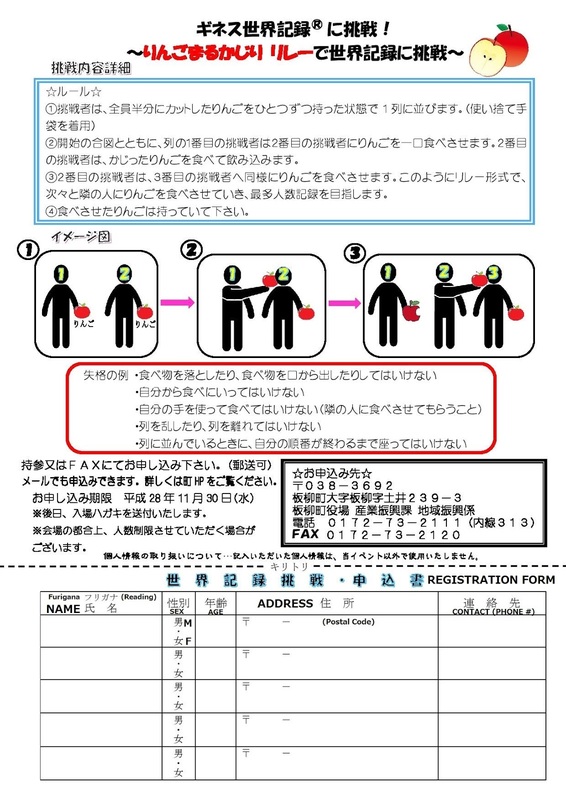 Five hundred meters of the street in front of Hiraka Station will be illuminated with 9,000 lights for the holidays! 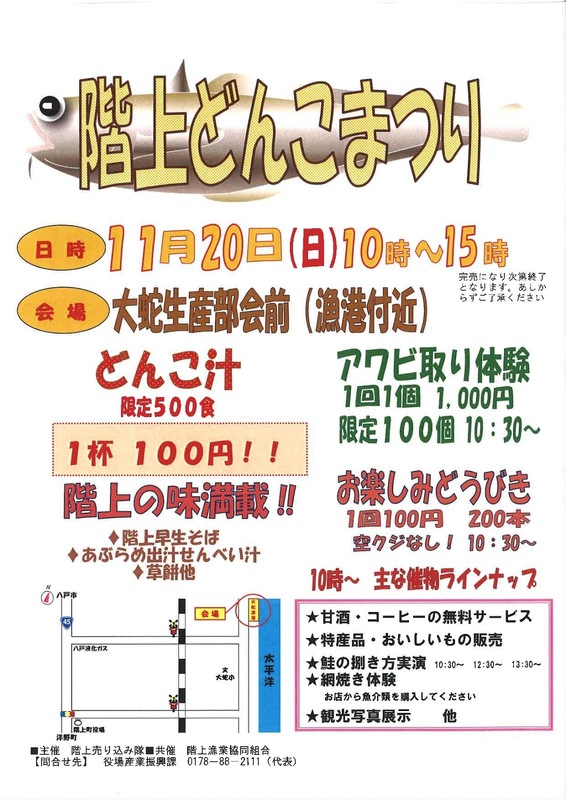 Sannohe's fall harvest festival featuring local product sales and more! 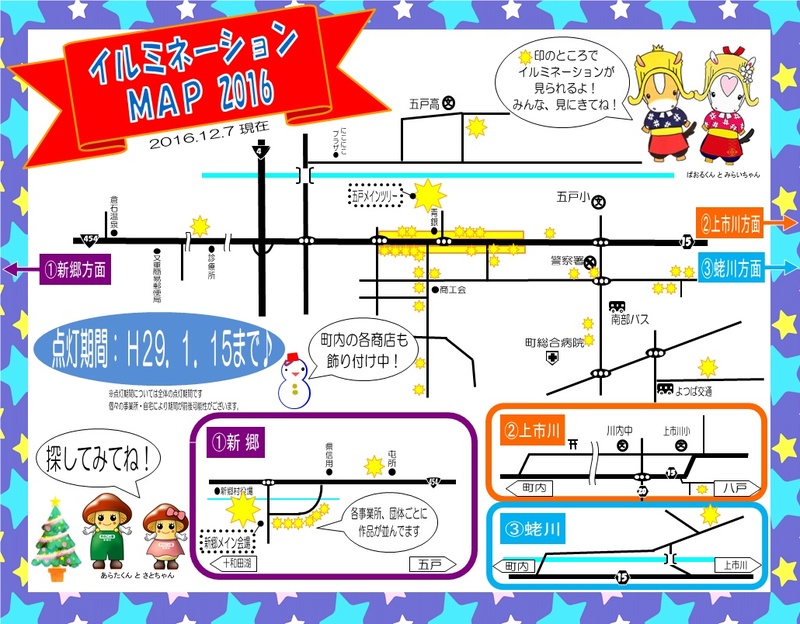 Check out 13 different booths selling various products--just in time for Christmas shopping! 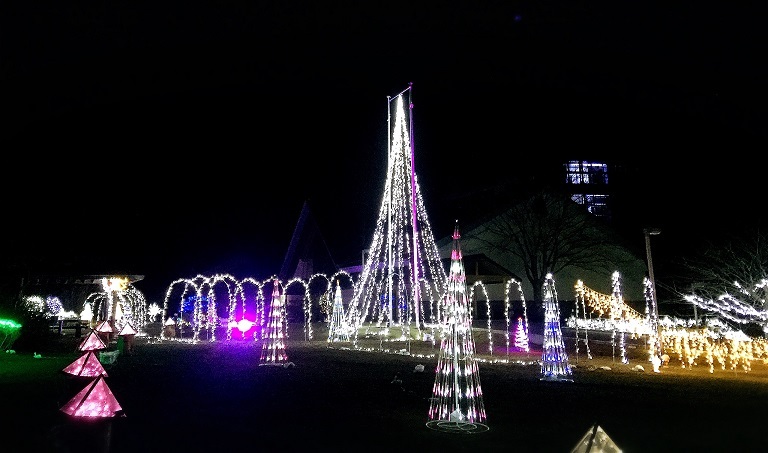 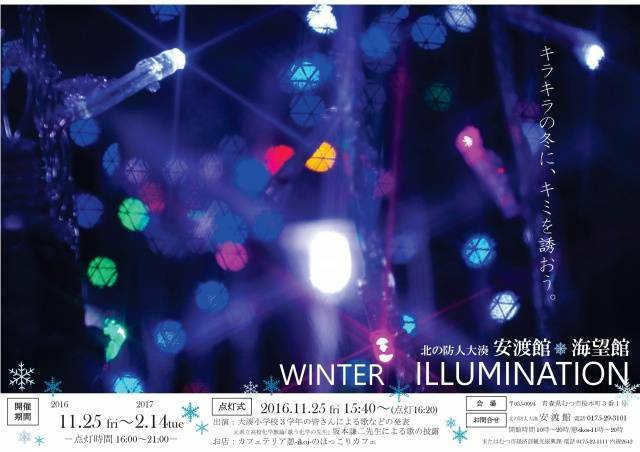 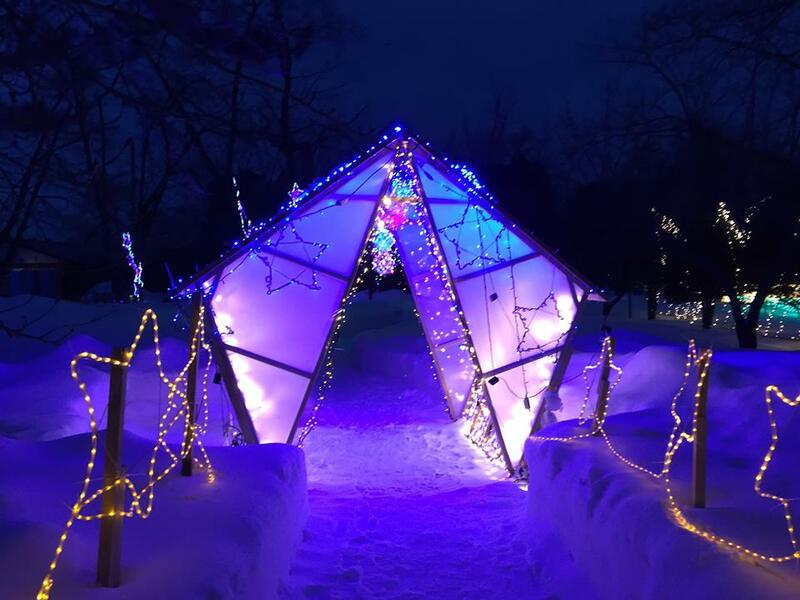 An event celebrating the start of Shingo Village's winter illuminations with a lighting ceremony, performances, activities, and more! 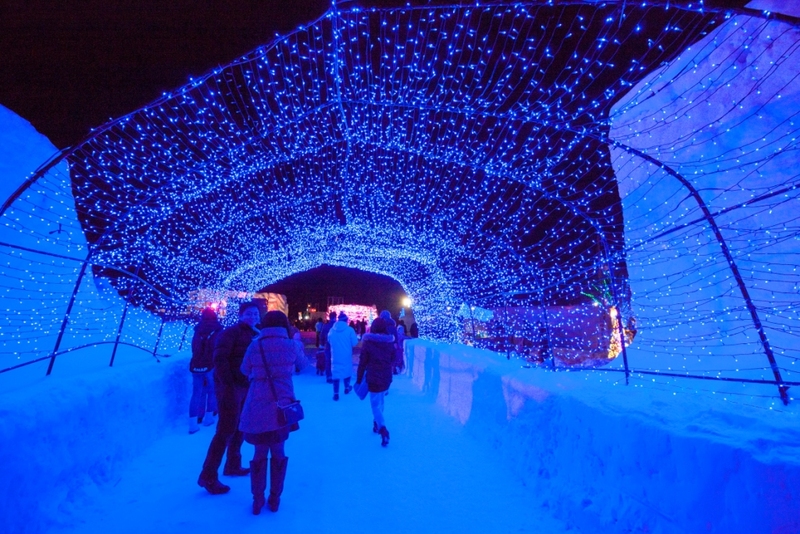 Cold weather and long winter nights getting you down? 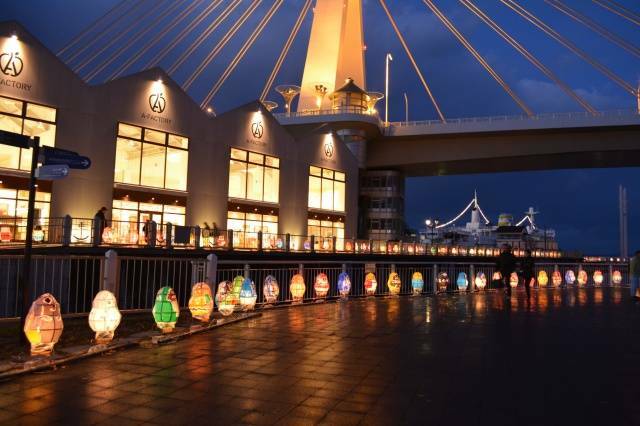 Check out the various winter illuminations Aomori has to offer and remind yourself of the beauty of the season! 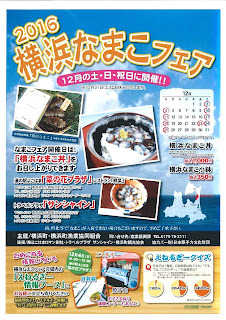 A festival showcasing Hashikami Town's local cuisine, "Donko-jiru" a soup made with dark sleeper fish liver and seasoned with "kazemizu" sea urchin extract or miso. 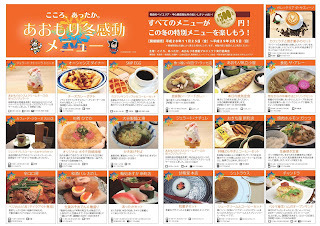 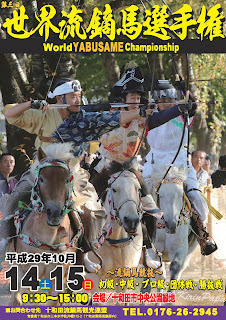 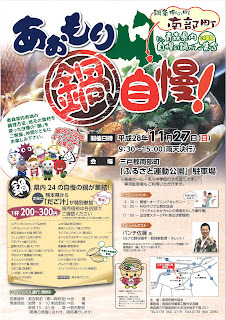 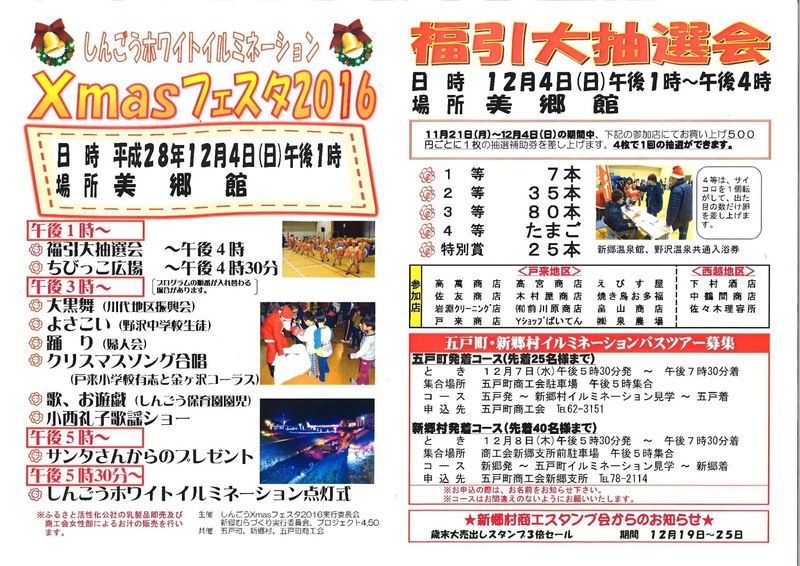 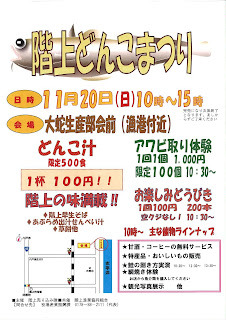 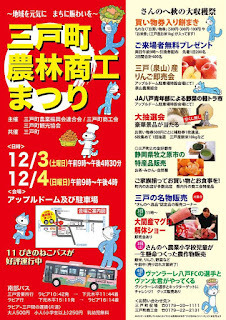 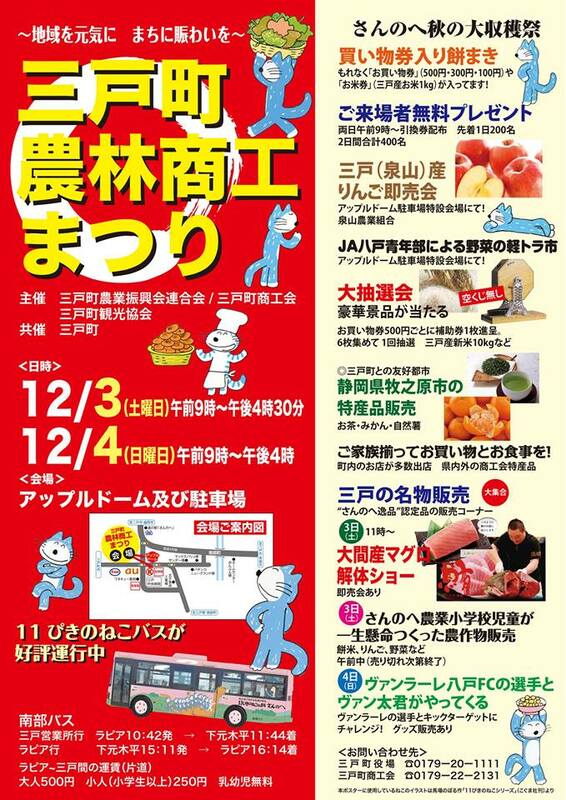 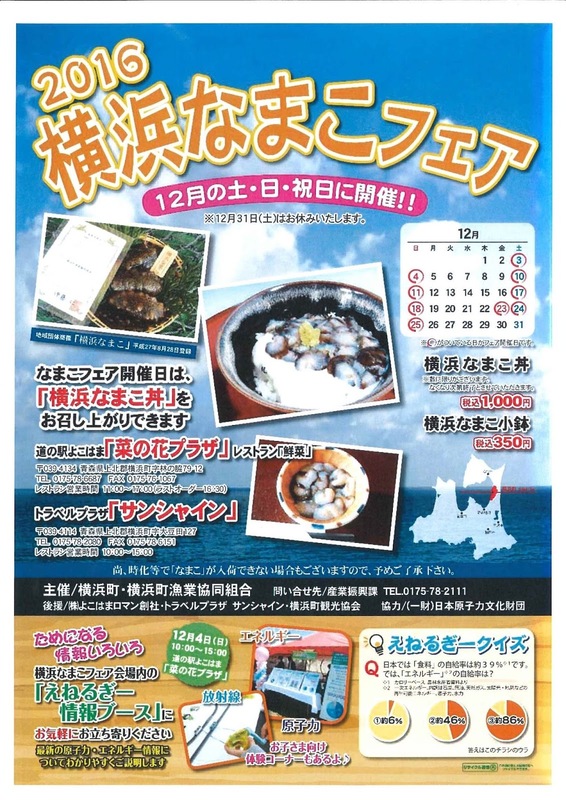 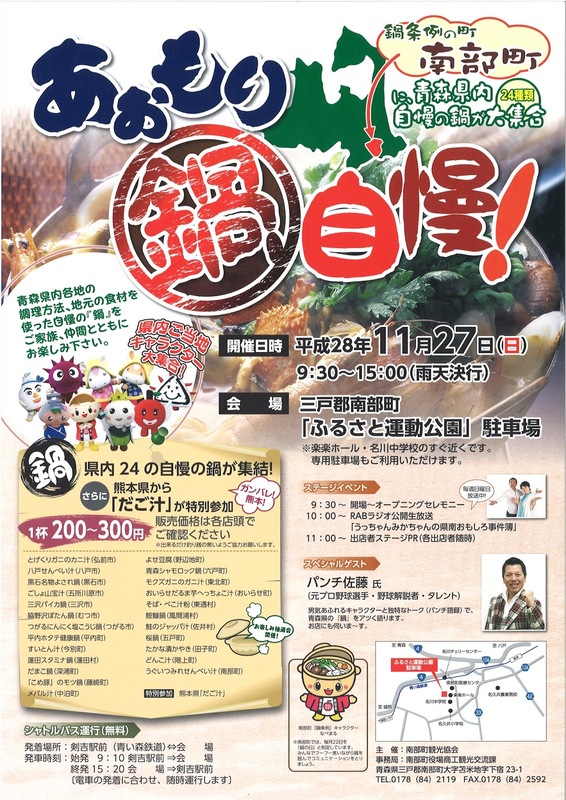 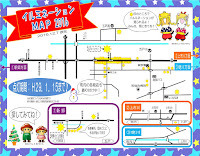 An event gathering 24 different nabe stews/soups from around Aomori all in one place! 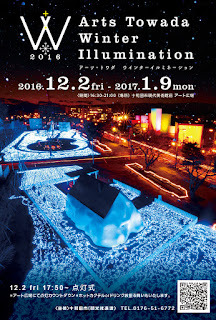 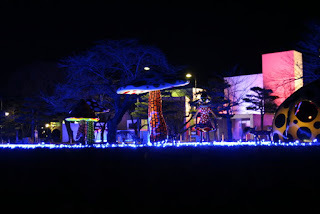 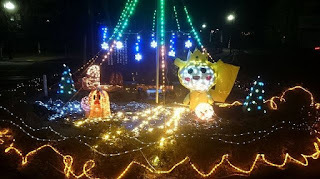 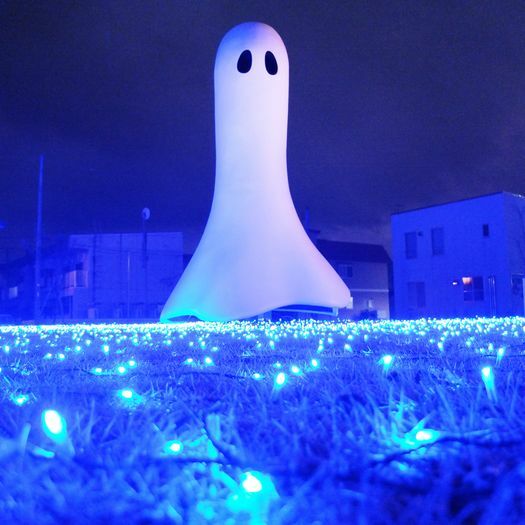 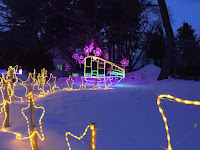 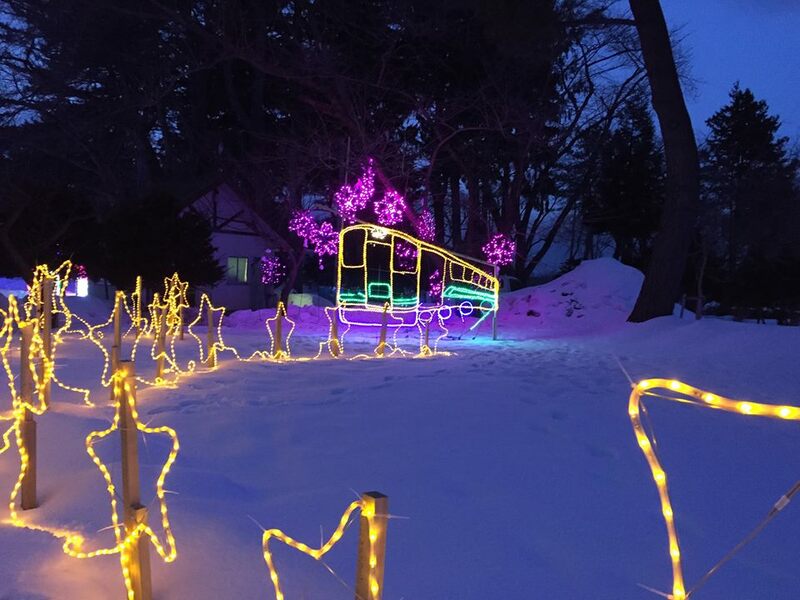 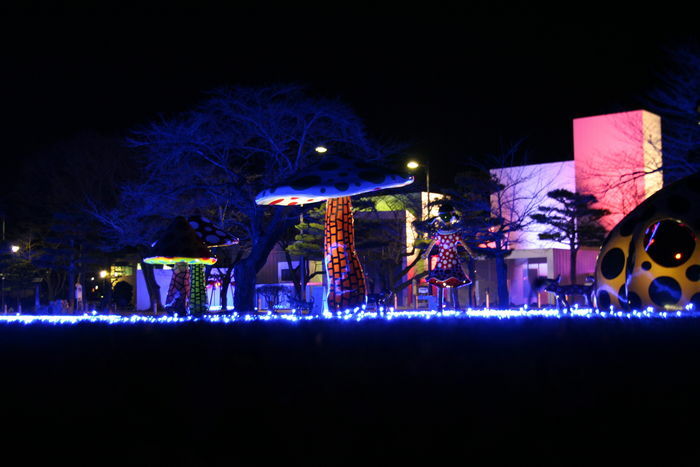 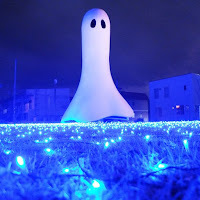 Enjoy the Towada Art Park illuminated by LED lights every night from December to early January!